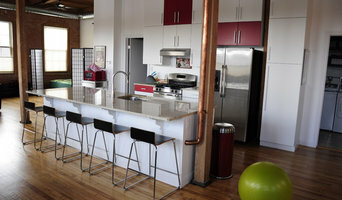 At ABODE, our clients are our partners with whom we collaborate to thoughtfully bring a vision to life. Just as we have products to suit any style or budget, we also have a variety of processes to pair with your individual needs. Smart beautiful design is the goal, extraordinary performance standards we set for ourselves including, unsurpassed customer service, integrity, and competency are how we get there. Our standards is what distinguish us from the others. Savor the memories, relish in the joy of cooking, relax with friends and family—the kitchen is more than utilitarian—it’s the heart of the home, the hub of activity, and where the crowd gathers. 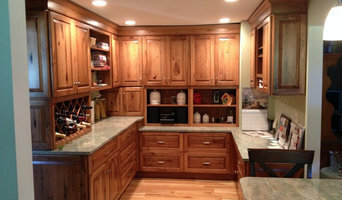 Your choice of cabinetry defines your home. It exemplifies your lifestyle and reflects the unique way you use your kitchen and determines how you interact with family and friends. *Preferred Showplace Cabinetry Dealer* MKC Kitchen and Bath Center is a family owned and operated business located in Troy, New York. With over 30 years of kitchen and bath experience, we strive to offer our clients in the Capital Region a refreshing alternative to the big box stores. At MKC Kitchen and Bath Center, we try to differentiate ourselves by offering personalized service, creative ideas, and quality products at competitive prices. Whether you are interested in a new kitchen for improved functionality, an updated look or a new design, our staff will work with you to create the best solution for you. Our showroom offers a wide selection of cabinetry and countertops for every budget. We are happy to work with do-it-yourselfers, contractors, and homeowners looking for a partial or complete remodel. We invite you to visit our child friendly showroom today!